Landmarks is offering a free, two-day, experimental animation and coding workshop for UT student artists and programmers led by Landmarks artist Casey Reas. A free, public Q&A with Reas and filmmaker Bob Sabiston will kick off the workshop on Friday, April 26 at 5:30 p.m. in the ART building. In collaboration, the coders and artists will develop an idea that will include creating a custom drawing tool that will be used to render the animation. The students will go back and forth between coding and drawing and drawing and coding for a fully collaborative project. At the end of the second day, works in progress with screen at the FAL Foundry. All code will be written with Processing, a java-based code environment for drawing and animation. Part of the workshop will be spent learning about coding in Processing. Submit this form by Friday, 5 April, 2019. You will be notified if you were chosen by Friday, 12 April, 2019. 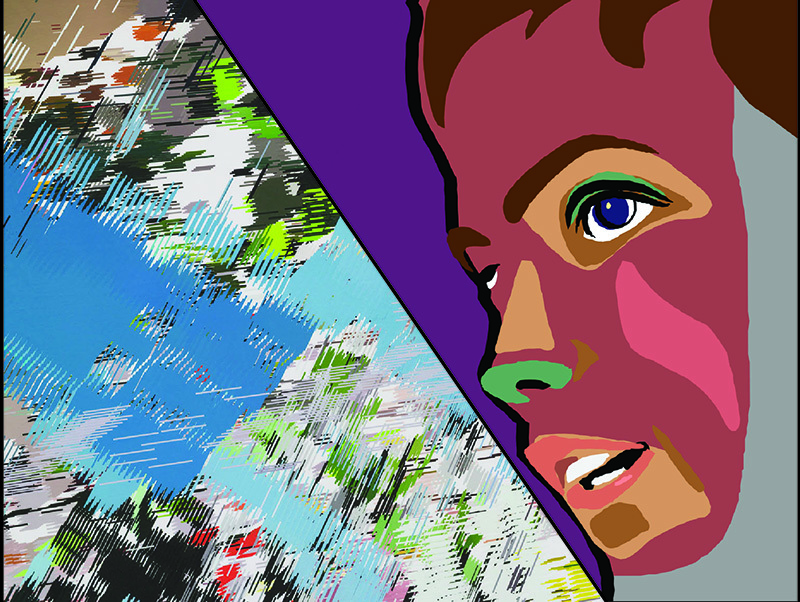 Casey Reas has emerged as one of the leading artists in the field of software art. His work bridges the gap between the technical world of programming and the visual worlds of art and design. Reas lives and works in Los Angeles, where he is as a professor in the Department of Design Media Arts at UCLA. Reas and his colleague Ben Fry initiated Processing, an free, open-source programming language that gives visual artists and designers tools to creatively express themselves through software. Today, hundreds of thousands of students, artists and designers use Processing for education, prototyping and production. In 2015, Landmarks commissioned "A Mathematical Theory of Communication", a mural in two parts for the administrative suites in the Gates Dell Complex. Bob Sabiston is film art director, computer programmer, and creator of the Rotoshop software program for computer animation. He began developing software as an undergraduate and then graduate researcher in the MIT Media Lab. In 1997, he developed his interpolating rotoscope program, Rotoshop. His films and animations have been screened at film festivals and are housed in museum collections.